Do you find yourself scrolling thru your Pinterest feed and thinking to yourself “I’ve seen that photo before”? It can be hard to find new places to look for ideas and often just a photo alone with no explanation of what you are looking at can be more a frustration than an inspiration. So, when we developed our online soft goods portfolio pages, part of the focus was not just to share the imagery – but to also offer a summary of what is in the image. A short roadmap to describe what textiles we selected and how we used them. It is a wonderful way to see the multiple uses that each material can have. Our focus is always on flame retardant materials that offer certification to US standards. You’ll find Sew What? custom drapes and soft goods featured in schools and trade show booths, at special events and at concerts worldwide. If you can dream it, we can sew it! 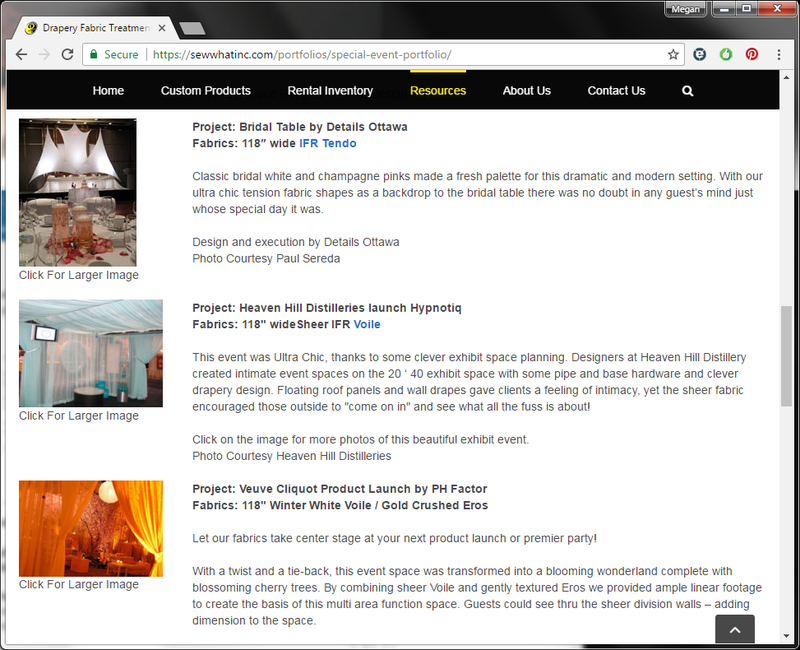 Here is a sneak peak of what you can see online in our various portfolios. Looking for Rock’n Roll Stage Drapery inspiration? – look no further than our Rock’n Roll Portfolio. America – the home of legendary rock bands and so many of today’s pop stars. Rod Stewart, Foo Fighters, Don Henley, Sting; we have draped and masked stages for the best of them. While we tend to remember a concert in terms of the “set” and the “lighting and effects,” the draperies play an often invisible but integral role in how the show comes together. Giant painted stage backdrops set the scene, masking hides tech areas from the crowd, borders dress the floating trusses to hide the lighting instruments, and skirting surrounds the stage and band risers. Soft goods, as they are known to the “roadies,” are a major part of any touring set. From massive kabuki sniffer drapes for legendary band The Foo Fighters to mixed media crafted backdrop creations for Katy Perry, there is a little something for everyone in our Rock’n Roll Portfolio. Are you a Special Event Planner looking for ideas? – check out our Sew What? Inc Special Event Portfolio. Grammy Awards, SAG Awards, Golden Globe Awards; you name them and we have draped them! Tents in tennis courts and 5 course dinners in stadiums – the special events industry is all about transformation. Watch while designers transform the ordinary special event into the extraordinary. Custom trade show displays rely on the many effects that drapery can provide. Our in-stock inventory of rental pipe and drape has been an instant solution for many special event planners with a sudden on-site masking issue. Designers and special event planners alike can benefit from our services and fast turnarounds. Theatre, Stage and Broadway designers……. 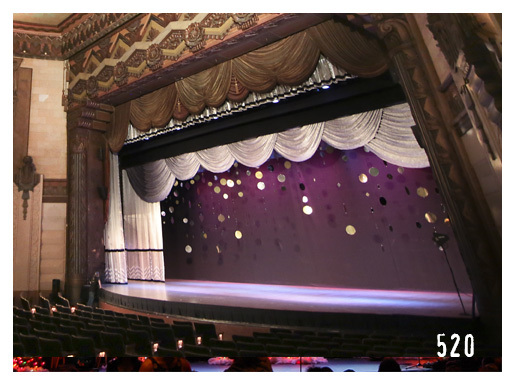 – stop into our portfolio of Traditional Stage Draperies for some inspiration. 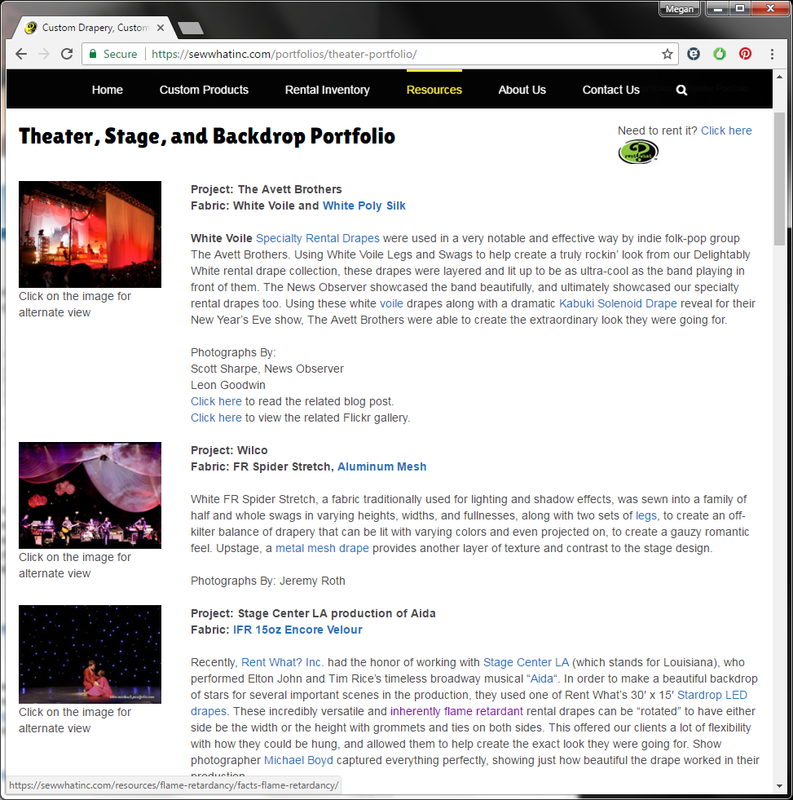 Grand drape, tab curtain, austrian, theatrical backdrops, tabs, legs and borders…. These are all words that we associate with the stage and the wonderful world of theatre. Sew What? 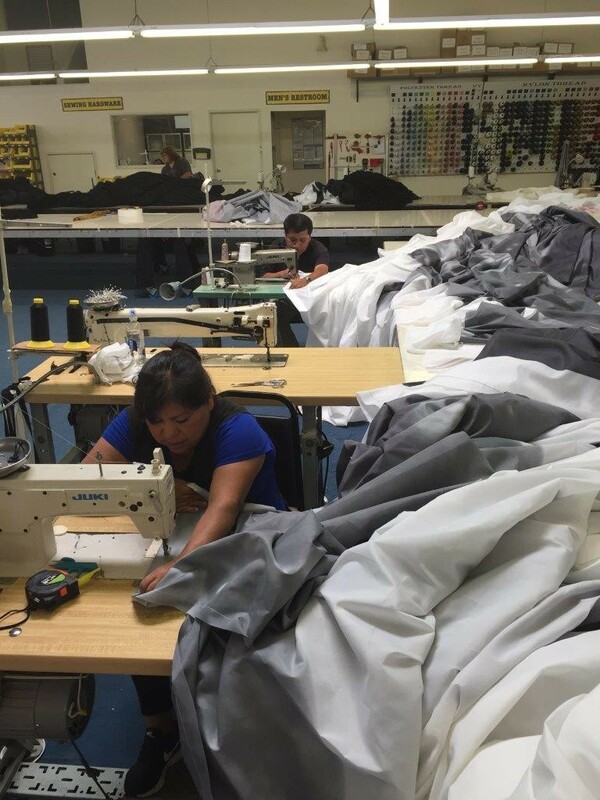 Inc specializes in theatrical drapery manufacturing, so your needs can all be filled with just one telephone call. Not only for professional theatres – don’t forget that schools, churches, universities and even cruise ships have stages! Sew What? Inc. experience stretches across the entertainment and performance industry, to special events and trade show exhibition. 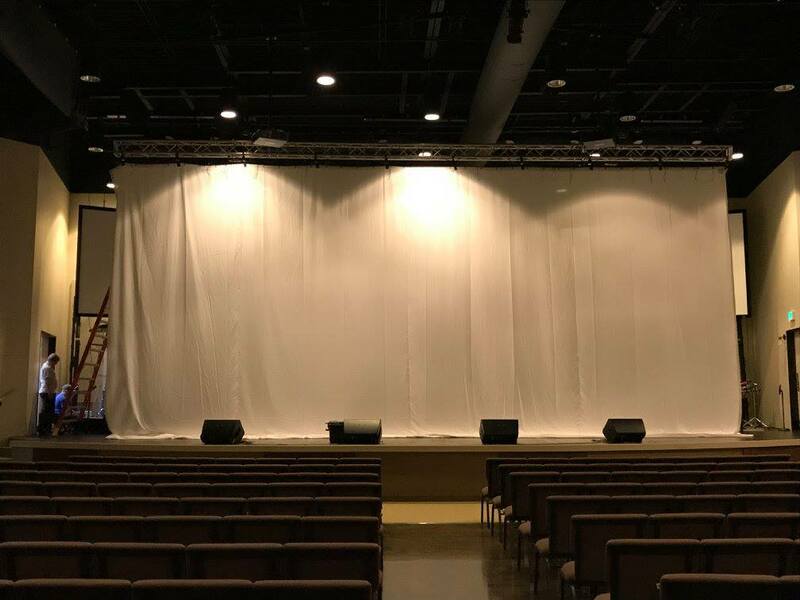 Over the years we’ve manufactured stage curtains and theatrical drapery for elementary, middle and high schools, community theaters and auditoriums, college and professional theaters, for rock concerts and fashion shows, as well as conference and exhibit hall booths. No custom drapery job is too big – or too small. 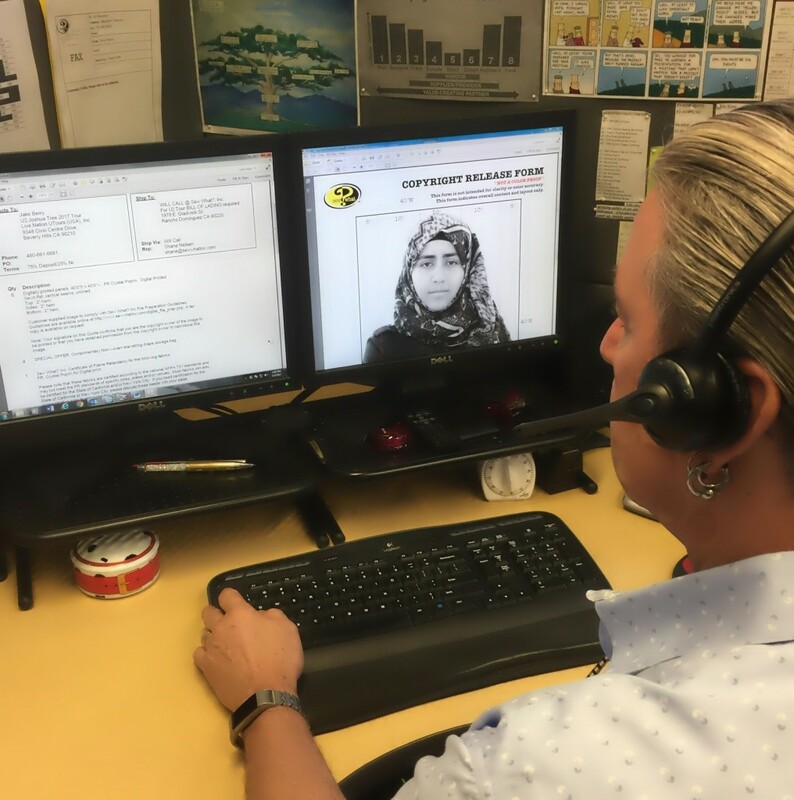 If you have questions just let us know – we are always ready to assist. Amazing concert effect achieved when Wide Format Digital Prints are passed through the audience at recent U2 concerts. Sew What? 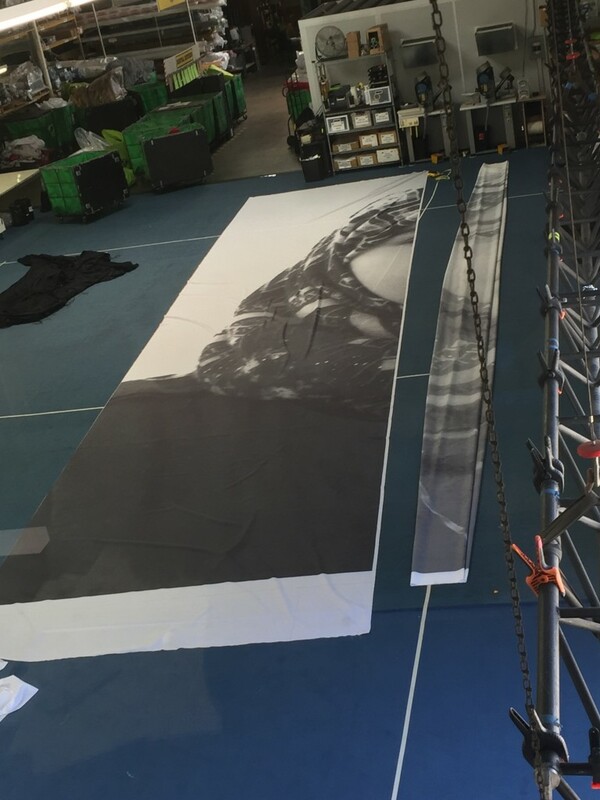 is thrilled to have been a part of this current U2 Tour production, preparing a selection of sublimated silk graphic prints to be used for an interactive audience element in the world-famous band’s current tour. Formed in Dublin in 1976, Irish rock band U2 is an anthemic band known for lead singer Bono’s expressive vocals and guitarist Edge’s effects based sounds. They are one of the world’s best-selling artists, having sold more than 170 million records worldwide with 13 studio released albums all of which are iconic. 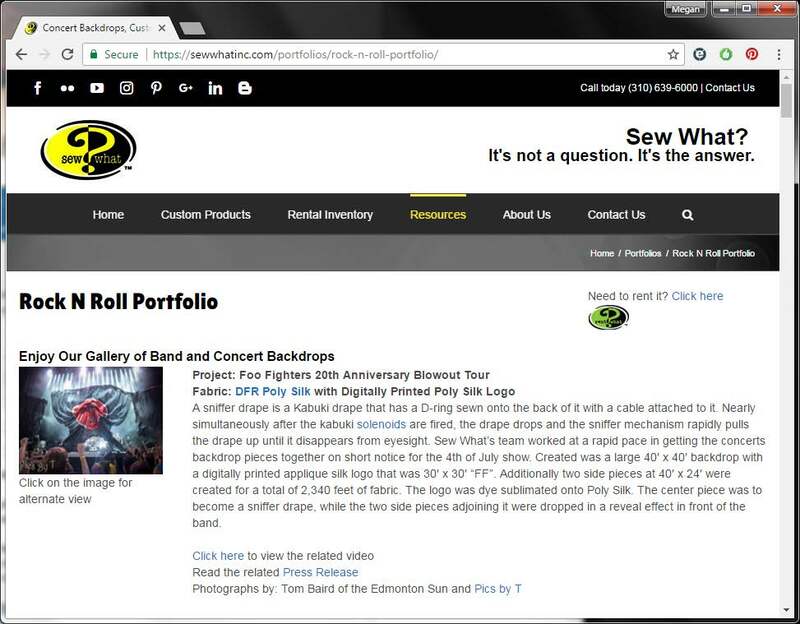 Why did the U2 production staff select “Sew What?” for their custom printed fabric project? Because of our customer service and attention to detail. Not only do we specialize in digitally printed stage backdrops and props, we offer digital printing services with other quality products and fair pricing. Above all, we want to help make your concert stage backdrops as spectacular as they can be. 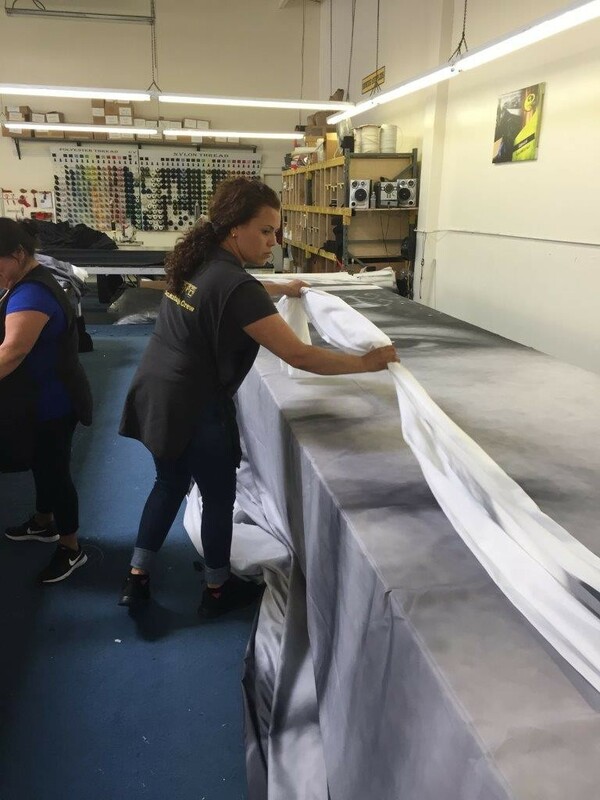 During the quoting process, sales associate Shane Nelsen discussed the use and expectations for these printed textile elements with the client to make sure that the best materials were recommended. 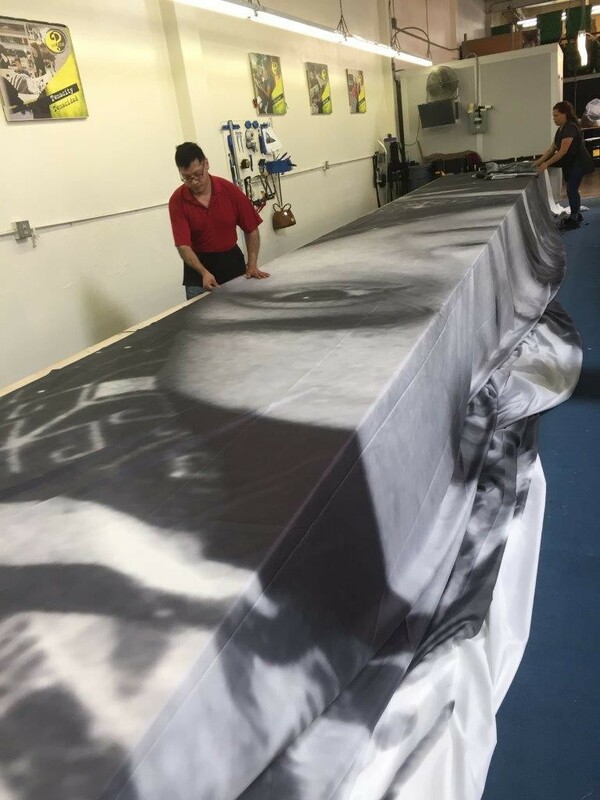 Once the art was received, Shane and our printing department specialist and operator Danny worked tirelessly to make sure that the client’s supplied images were prepared appropriately for the wide format printing needed for this special effect project. No matter what concert you attend, you will see digitally printed fabric, digital printed stage backdrops and wide-format digital billboards. That’s because any graphics created for printing on paper can be printed on fabric. With a variety of substrates to choose from, digital printing enables you to magnify photo quality images into stunning custom theatrical and scenic digital backdrops and concert drapes. 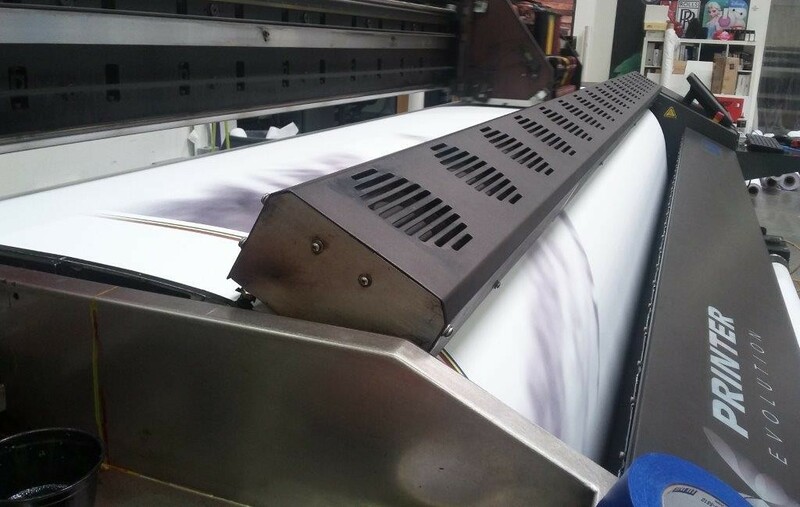 The wide-format digital printing process involves firstly image file preparation. The images are inspected for quality and any graphic variances which would show up when “enlarged” to magnified dimensions. 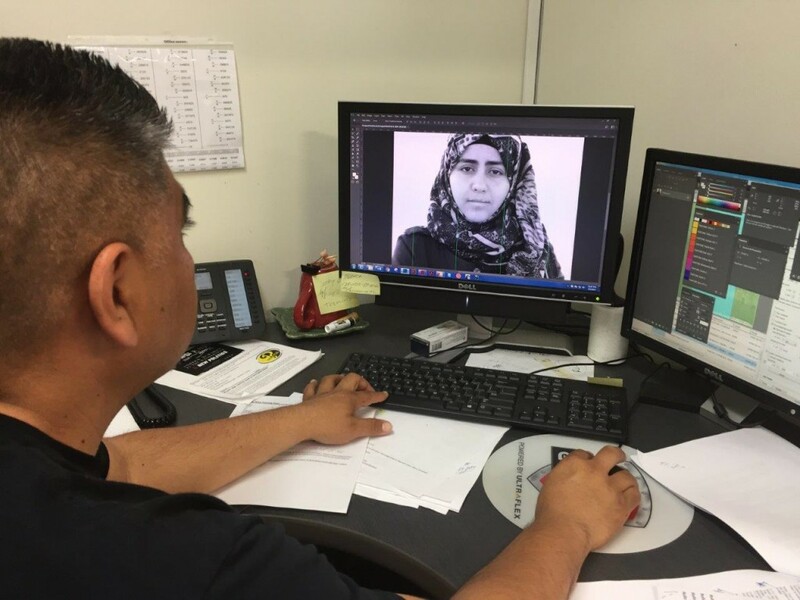 The files are then imported into the printer software where the image is “ripped” into segments for wide format printing onto our 120” wide substrates. Once printed, each segment of fabric then needs to be inspected and measured for accuracy. Once all the pieces are printed for one graphic element then they can be sewn together. This process requires that we use our long 40+ foot long sewing tables, and painstakingly line up eachgraphic panel and pin it with sewing pins to the next panel. Once fully pinned it is ready to move to the sewing machines for careful seaming. Sewing together textile banners and backdrops of these proportions requires not only the right equipment but a great deal of patience. At this point in the process nothing can be rushed. Every stitch and seam is important in crafting a finished image where the seam lines will be nearly invisible! We use a variety of sewing machines in the process including overlockers, single needle, double needle and reinforcement stitch machines as part of the sewing process. 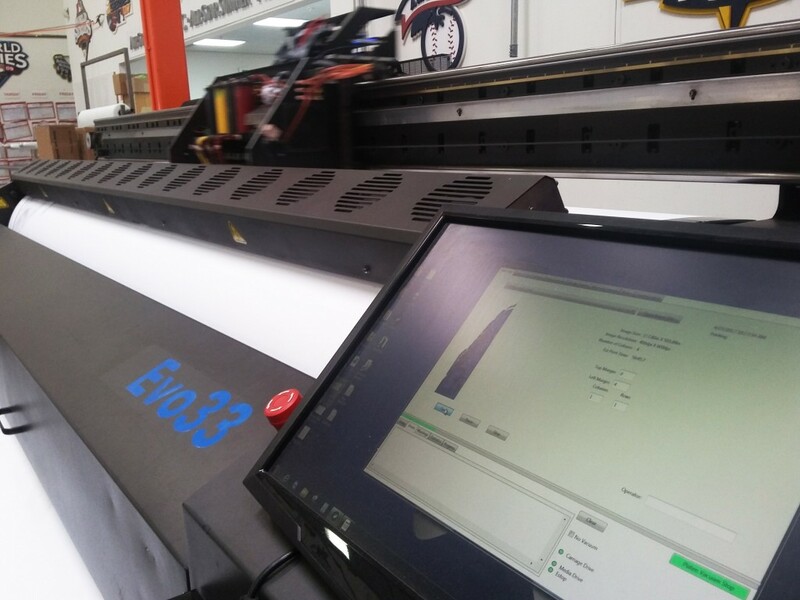 Oftentimes we will back stack 2 or more machines to a table and run multiple sewing processes simultaneously so as to reduce the amount of handling that is needed per drapery element. The finished product is always a thrill to see develop through the various stages of planning and construction. Once completed, our Quality Control staff do a very thorough inspection of the finished softgoods, and we then package and ship the items to the client. 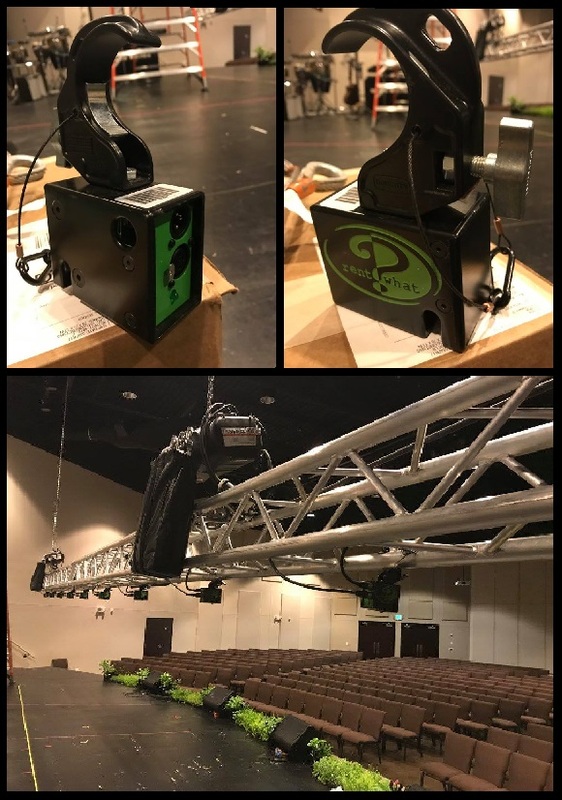 For the moment of truth…….. the excitement when we see the item in use on stage! Enjoy this video showing our sublimated silk audience banner panels while U2 perform the song Miss Sarajevo in Seattle on 5-14-17. Just like your audience, you want top performance. Sew What? understands and delivers. 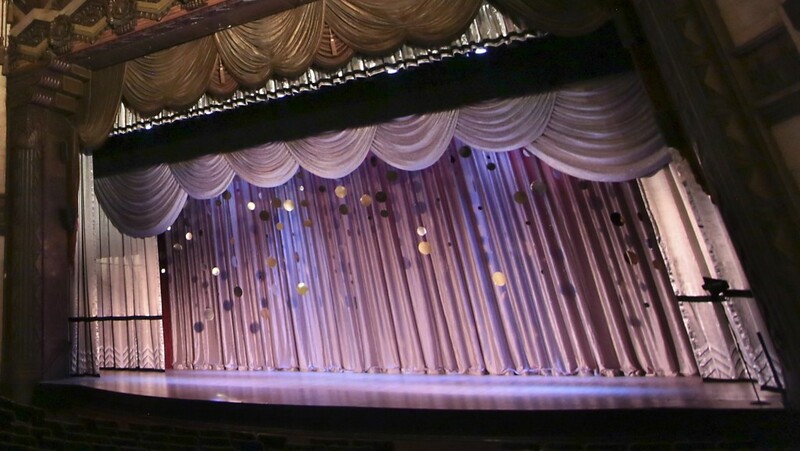 Our Stage Drapes and Theatrical Backdrops, Curtain Tracks and Theatrical Supplies exceed expectations and enhance your shows. 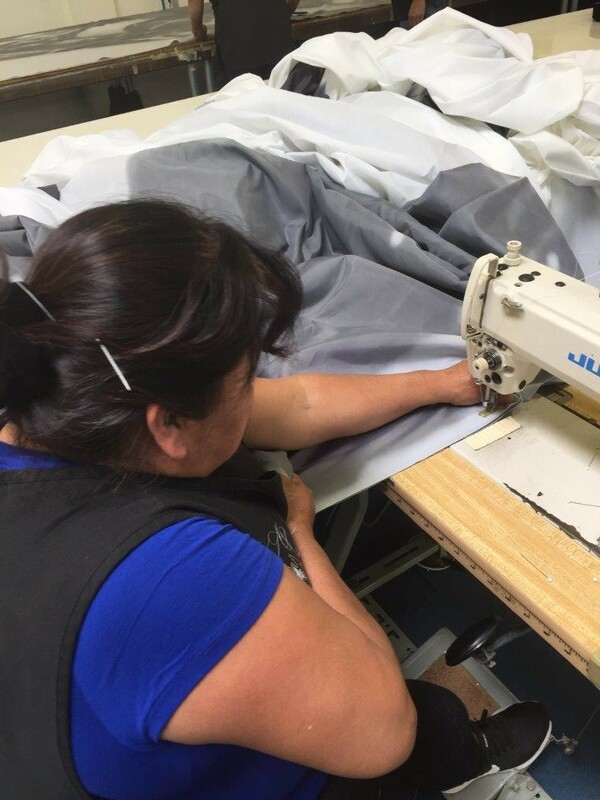 For an experienced drapery manufacturer with work that ranges from digitally printed drapery for the hottest rock concerts, to the biggest theater performances, to just about any other kind of production under the sun, Sew What? is the answer. Nothing excites the audience faster than a stage adorned with shimmery and textured design décor that has movement all on its own. And now available and brand new from our dazzling array of stage bijoux in our ‘Oh So Swanky!’ Rental Drapery Collection is our 60’w Reflective Mobile Gold-Silver Discs Kit. 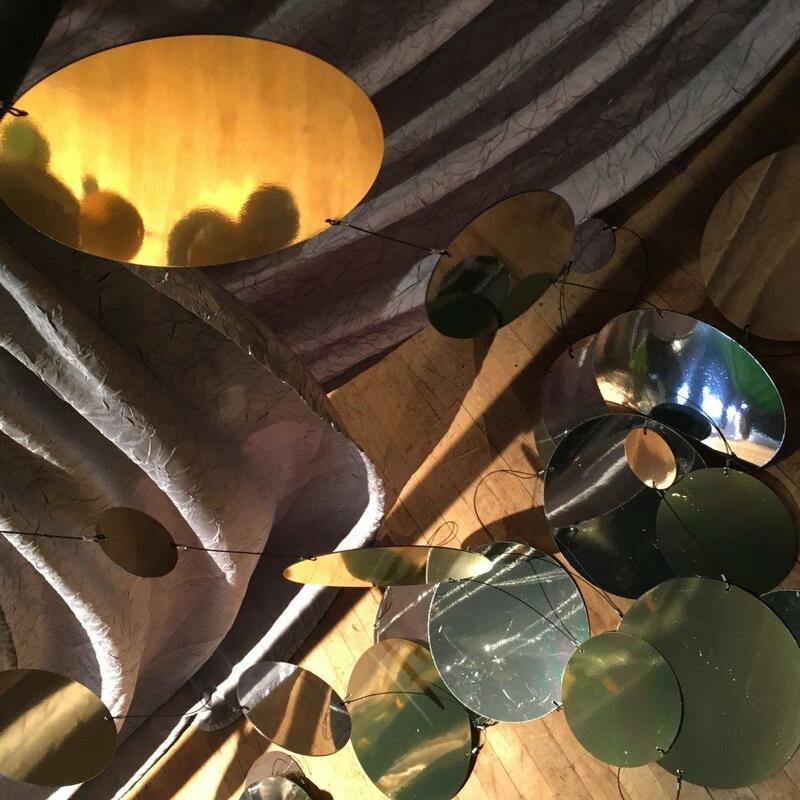 Ranging in heights from 15’h to 26’w, this set of gold and silver reflective discs are set on clear strings, and hang from a webbed header with grommets and ties making it super easy to attach to any truss or rig. These discs are completely versatile and look absolutely spectacular in natural lighting, or they can reflect any color scheme you light it with to help brighten up any special event or concert design. Hang it in front of a scintillating silvery pre-pleated backdrop and swagged border like the ones in our Silver Satin Collection (as in the photo below), to add some depth and dimension to your stage’s style. Or you can hang it in front of a simple rental Black Poly Muslin backdrop (as in the photo below) to create some fun shadows and texture to an otherwise open proscenium. And because these discs go with any color palette you have in your design, it’s a simple and effective way to add some real drama to the overall look and feel of your show. Dressing up your stage to the nines has never been easier or looked more breathtaking than with the drapes and stage décor offered in our rental Specialty Drapery Collections. Mix and match from the various collections as you please, and you and your audience will not be disappointed with the end result! Contact a representative today so we can help find the perfect combination for your next special event–right out of the hamper.